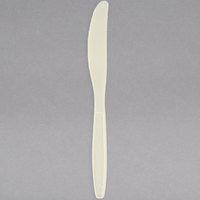 Add durability and convenience to your tabletop with this Visions white heavy weight plastic knife. 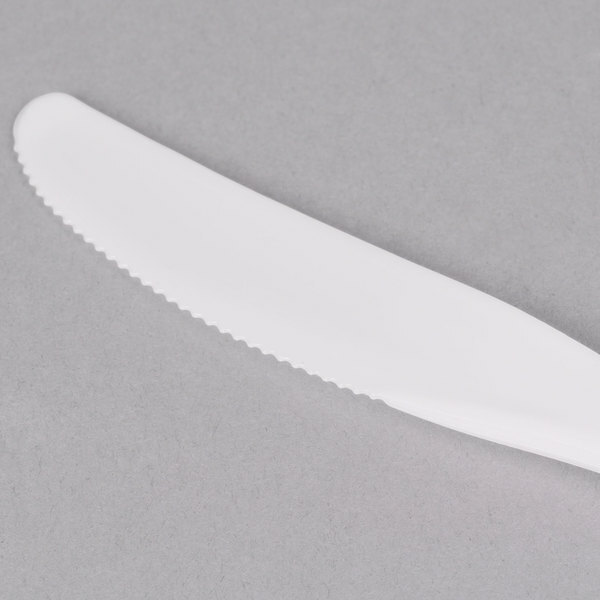 Great for take-out restaurants and catered events, this white plastic knife is conveniently disposable so you won't have to waste any extra time washing large quantities of dishes. 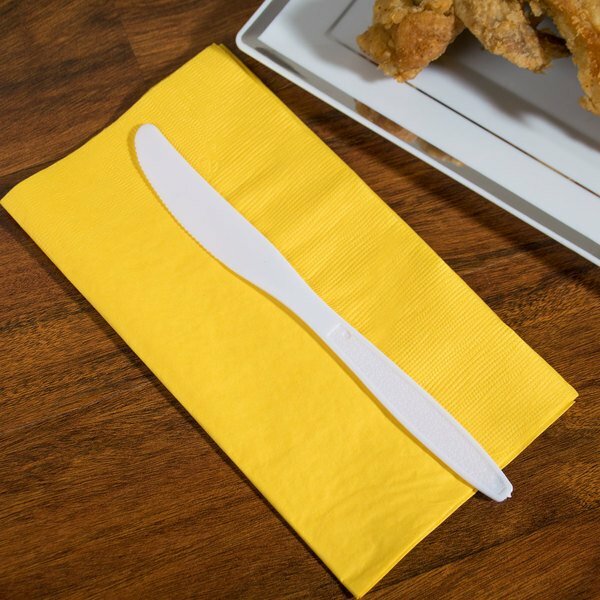 Plus, its crisp white coloring is complementary to virtually any dining environment and can be dressed up or down according to the atmosphere of your event! "Amazing, strong and high quality. 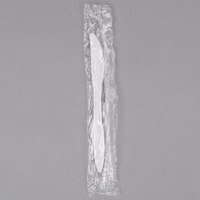 These disposable knives are great. We have one church that loves them and many other customers that are very pleased with the quality. I would highly recommend these!!" Visions Heavy Weight utensils are just that, heavy weight and will not break. 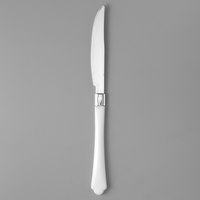 Your utensils are not flimsy and you never have your utensils breaking while you are trying to eat. High Quality and for a great price! 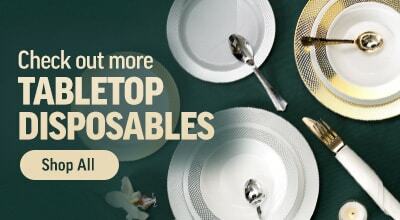 Perfect for whatever occasion you need them for! 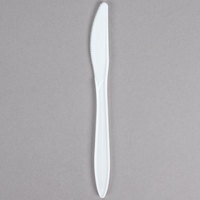 Product is a decent heavy weight plastic utensil. Exactly as advertised. Very pleased and will order again when needed. Quick quality shipping by webstaurant store. Great and strong. These are definitely heavy duty. Very happy with these knives. Shipped quickly. Was half the cost then buying locally. Great quality. Highly Recommend. These are far better than similar lightweight products. We've tried several different ones, but these don't bend under stress like some of the flimsier ones, and make for a better experience. 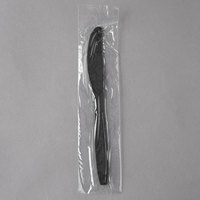 This heavy weight plastic knife is a mainstay for our take out meals that go to our homeless and senior shut ins. Great for general use. 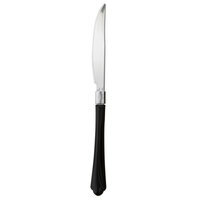 These knives are pretty sturdy and are good for cutting through softer food items. Our customers love having them to help cut their donuts into smaller bites. I would not recommend for cutting meat or harder/tougher foods. 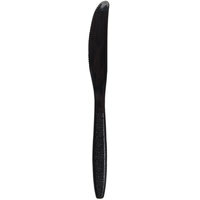 Super sturdy forks that are surprisingly sturdy and are well serrated, so they actually work on steak / proteins. They have some heft which is great for our slightly upscale picnic catering we do. Great Price, too! A+ Item as described. 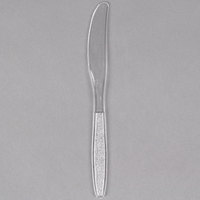 I ordered the spoon and fork for my salad shop, and ordering these knifes was a no-brainer. 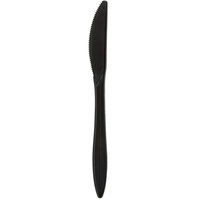 Guests use these to cut proteins like chicken and avocado. I really like these white knives. Does not break bend or snap easily. 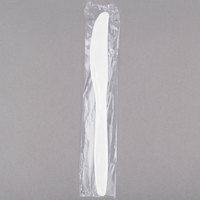 Good quality for being a plastic knife. I really like the website too. Love this product, perfect for what we were looking for. Will purchase from this website again when in need of supplies for our business use. Great, heavy duty knife. We serve very hearty sandwiches at our coffee shop, and needed a heavy duty knife and fork so customers could actually cut their sandwich if need be. This knife does the trick. 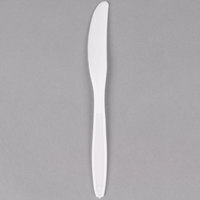 Very sturdy construction, these will hold up to the toughest foods.These white heavy weight plastic utensils are great for any restaurant or café with take out. 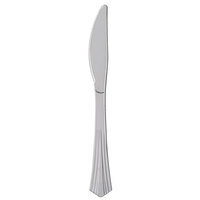 We purchased these heavy weight white plastic knives for a big event we had and wanted to use disposable flatware. 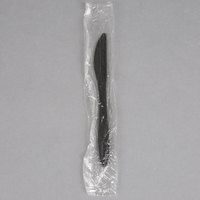 These are a very good quality knife for throw away but we do not like that they cannot be recycled. That is why we rated them 4 of 5 stars. 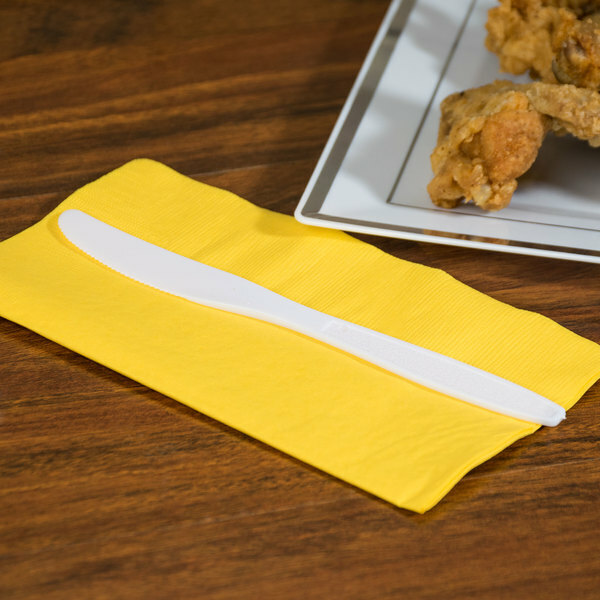 These are great items for food trucks or cafe's/restaurants to do a lot of to go orders. As soon as these knives arrived, we opened the package to inspect the quality. Not only is the quality just as good as what other big companies sell, but the handles are a little longer too. Great for large hands to use. Very pleased at the price. Love this knife. 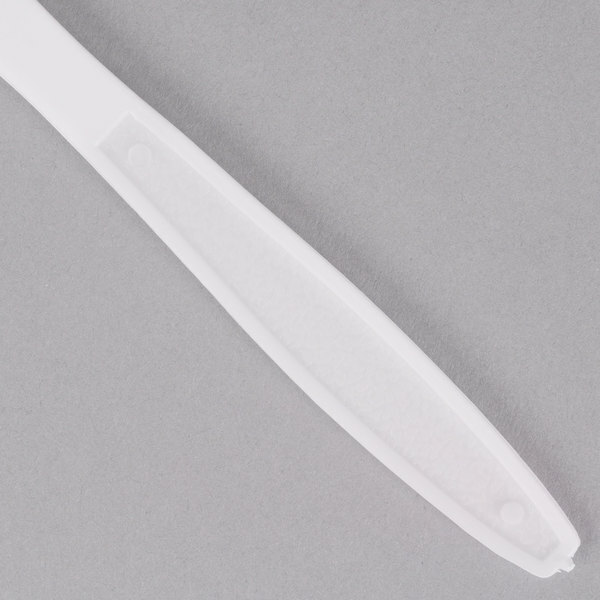 The weight for this Visions white plastic knife is substantial for a plastic utensil so it is not flimsy and will not break easily. This is a no brainer. Buy them by the case for max savings. 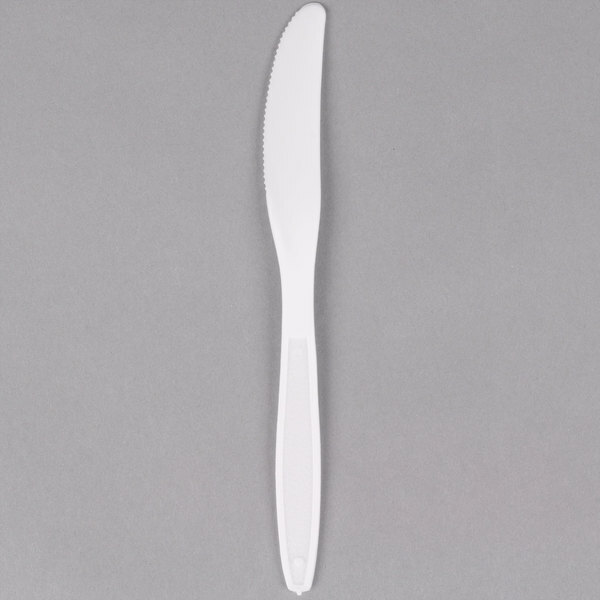 This is a quality tough plastic knife that cuts well and won't break. White matches everything and contrasts well with food.